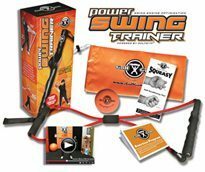 We want to introduce a new Q&A feature here on the Joey D GolfGym Blog. 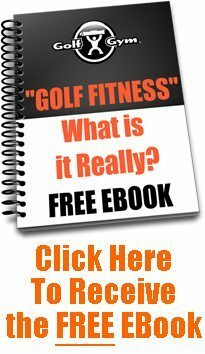 A lot of you have found Joey D online and have been sending in your golf fitness related questions. Once a week we'll randomly choose a question or two and Joey will answer here on the blog. Add Joey on Facebook and fire in your questions, or hit him up on his Twitter page. Kevin T. of Mountain Brook, AL: "Joey, I enjoy reading your blogs and updates and am looking forward to watching some great golf this weekend. I wanted to see if you had any tips or words of wisdom for the taller golfers out there. I am an ex-college ball player and am still in decent shape. I am 6'6" and about 240lbs. Still rather flexible and strong. 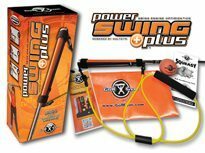 What types of stretching/exercises would you recommend to keep everything running like it should." One stretch I'd definitely recommend is the 90/90 exercise we discussed in my last blog. Check out the YouTube clip of that, for starters. Next I'd suggest getting your hands on a 65 centimeter physio ball. From there, follow the two exercises in the videos below. Your height isn't really a difference-maker. It just means your muscles are a little bit longer from origin and insertion and you'll need to hold the stretches a few seconds longer. Flexibility happens when you create greater ranges of motion and larger patterns of movement. Take a band and do a 90/90 exercise. That's much better for you than a static stretch and creates greater length. Most people try to touch their toes and stretch their hamstrings for ten minutes or bring their knees into their chest. These aren't bad exercises, but from a biomechanics standpoint there are much better ones you can do. Movement patters with bands are going to elongate muscles. These movements create a neurological signal regarding the Multifidus spine and all the muscles surrounding that area. That will really help you out and I think that's where you should to focus. 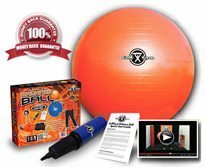 Try the suggested ball/band work and let me know how that works for you. - Joey D.
Wow, great videos. 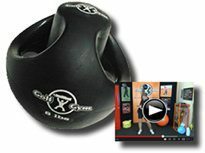 I've worked with a physio ball for years and simply used it for some ab work. I've never seen either of these exercises. Definitely going to incorporate into my workout. Thanks, Joey. I tried these exercises last night and I am beyond impressed. I've suffered from lower back pain for years and it's been a while since I've gotten a deep stretch like this. I especially like the one where one leg is flat and you roll the ball over with your other leg. I really felt that in my IT band and my lower abs. I literally felt my muscles elongated... which I'm not used to as I spend most of my day behind a desk. I'm definitely going to incorporate this into my daily stretching. Thanks for the tip, Joey.